Directions from Brooklyn Park/Champlin/Dayton: Take Hwy 610/US 10 East to MN 65 North to 105th Ave NE. Take a right on 105th. 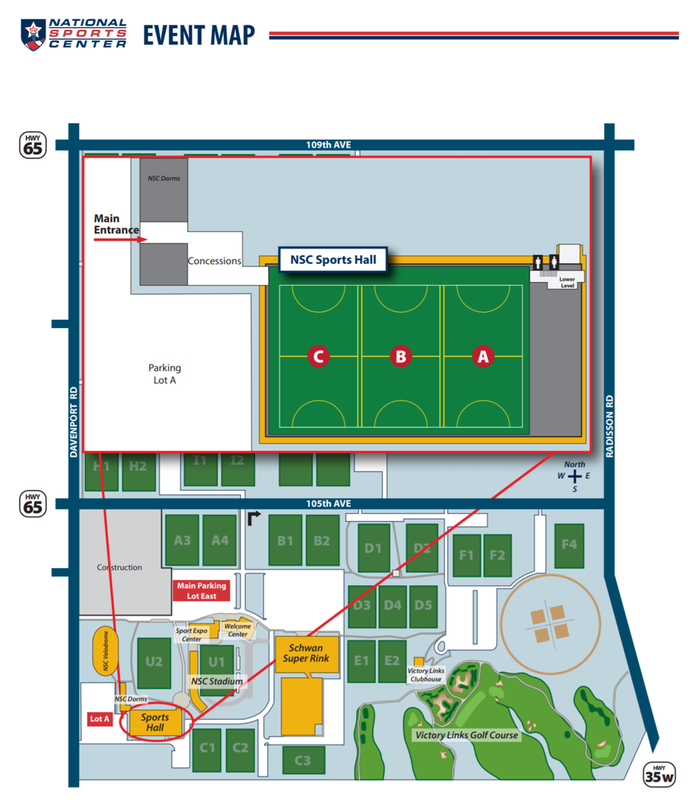 Access to the Sports Hall at NSC should turn right on Davenport Street (first stoplight). Drive past the Velodrome and turn left at the access driveway. Lot B straight ahead is the main parking lot for the Sports Hall. Parking & Entering:​​ ​parking​ ​will​ ​be​ ​in​ ​the​ ​backside​ ​of​ ​the​ NSC ​Stadium,​ ​right​ ​across​ ​from​ ​Menards​ ​on​ ​Aberdeen​ ​St. The​ ​Sports​ ​Hall​ ​will​ ​be​ ​the​ ​entrance​ ​for​ ​all​ ​soccer​ ​players​ ​and​ ​parents​ ​this​ ​winter.​ ​The​ ​Sports​ ​Hall​ ​is​ ​directly through​ ​the​ cafeteria​ ​area​ ​to​ ​the​ ​right​ ​as​ ​you​ ​enter​ ​the​ ​doors.